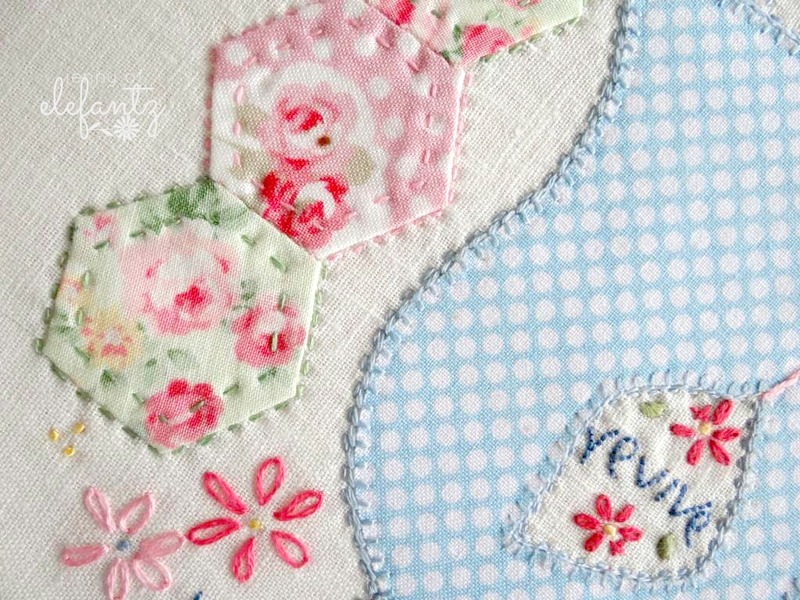 I love adding pops of applique through my stitcheries. 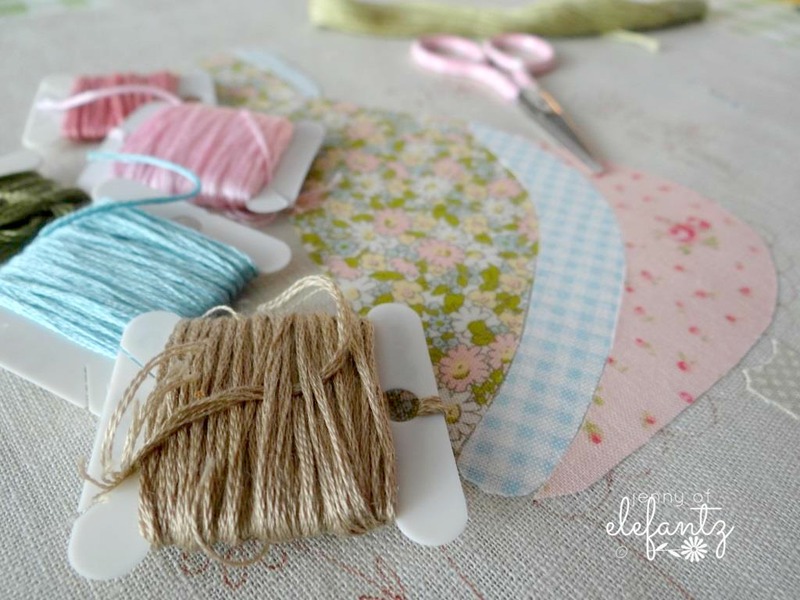 I don't throw away any fabric cut-offs that are 2" square or larger, but store them in two plastic containers which become treasure troves of sweetness, perfect for applique or making hexies. 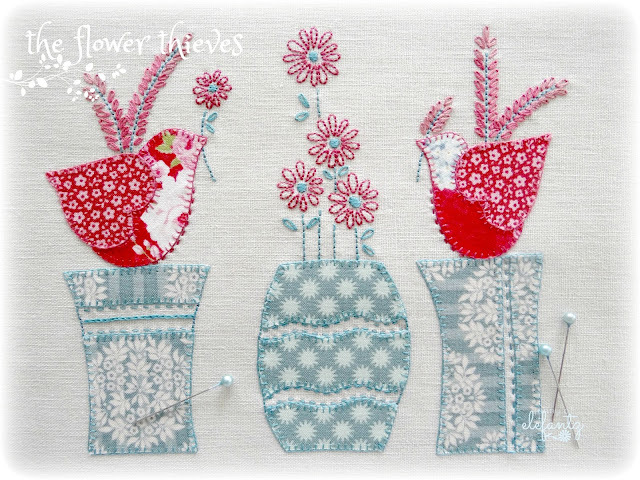 Over the weekend I began two new designs for The Stitchery Club in September. 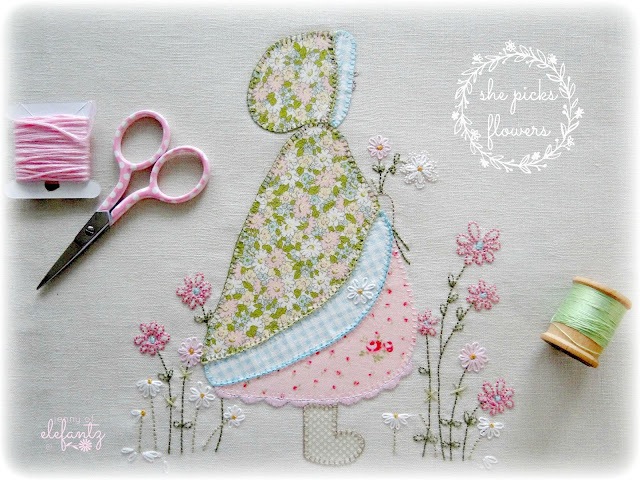 The theme next month is "Picking Flowers" and most of the stitcheries will feature applique. Want to see? 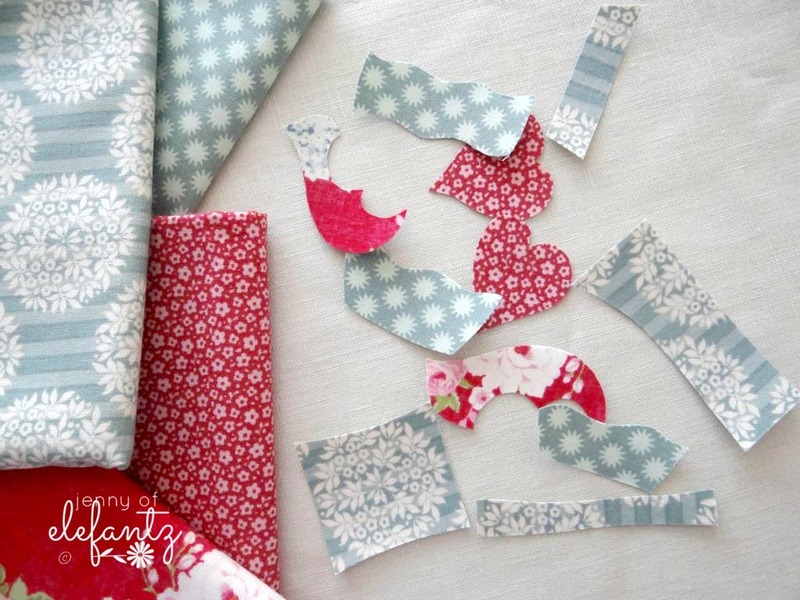 The next day I gathered larger pieces of fabric, two teal and two pink. Yesterday and today I've spent time completing these two sweet patterns. I love the gentleness in these two designs, made prettier with applique. 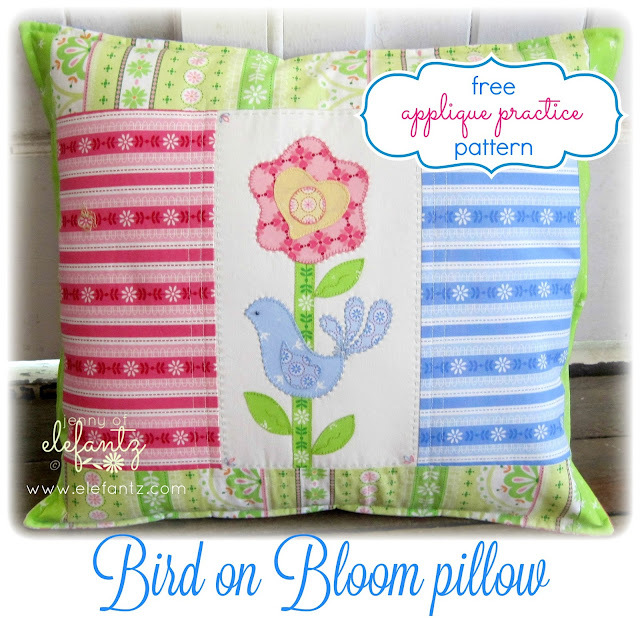 I'll even give you a free pattern to practice with! Download the "Bird on Bloom" pattern here in my shop as a practice gift from me to you. Oh, Jenny! I do not know how you do! Your job is already beautiful, and you make more and more beautiful every day. Thank you very much for your generosity. Have a good day. Hugs. You are a master at what you do, I look so forward to your blog. Photos are wonderful and your stitching is upper class. Enjoy your grand child. Good Morning Jenny! I get so excited every time I see your name in my email! I rush to open it; almost like a little one opening presents! LOL. Yet, once opened you reveal such spectacular delights! Today, I downloaded the pillow pattern and applique it is so adorable. 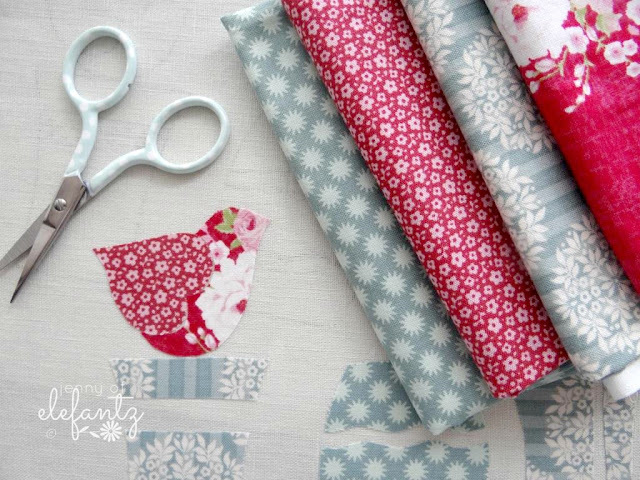 I am slowly trying to redo my household accessories in brighter and lovely fun designs. So many of your designs are being used! Although, I am really a slow crafter...hee, hee, hee. So my hand stitching takes me two to three times the amount of others. I am fine with that, I just do it for the pleasure it gives me and then the final beautiful treasure! Thank you again for sharing all of your special talents with us! I will thank the Lord once again for leading me to you! I hope that you have a fantastic creative day! 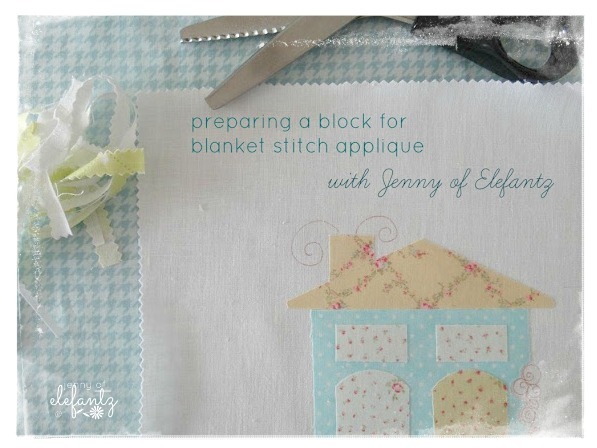 will give this practice project a try! Love that cushion, just might have to make this one too! Oooh, birds! So cute! Thanks for the peeks. Sometimes, I think those keep me stitching! Thanks, too, for the practice appliqué flower. As I was reading your words, I thought, "No one writes quite like Jenny. She makes a beautiful presentation even in the way she describes things!" Beautiful Jenny! The little girl is so, so lovely! And the birds entirely 'tweet'!